Mais uma excelente opção opensource para tarefas de Sensoriamento Remoto. Vale a pena conferir. 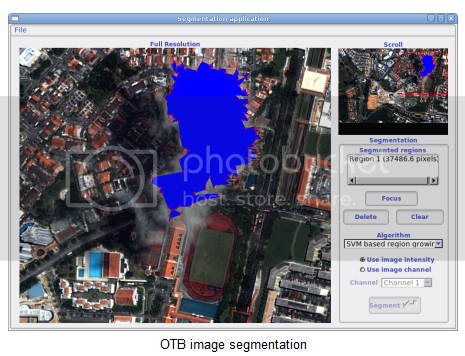 ORFEO Toolbox (OTB) is distributed as an open source library of image processing algorithms. 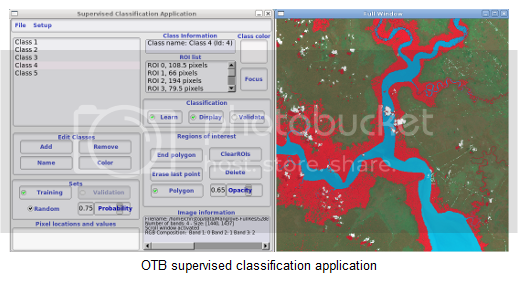 OTB is based on the medical image processing library ITK and offers particular functionalities for remote sensing image processing in general and for high spatial resolution images in particular. OTB is distributed under a free software license CeCILL (similar to GPL) to encourage contribution from users and to promote reproducible research. The library is intensively tested on several platforms as Linux, Unix and Windows. Most functionalities are also adapted to process huge images using streaming and multi-threading as often as possible. … e o plugin para a sua integração com QGIS está a caminho… assim como o para SAGA. Installation instructions  have been updated to reflect this. Thanks to the OSGeo4W team to make this possible ! Você poderia criar um tutorial de instalação dessa ferramenta no QGIS… Ela é excelente! E pelo que soube, estará dando suporte a interpretação de imagens de RADAR (Cosmo-SkyMede) também. Opa! Vou colocar essa dica na minhas lista, @sadeckgeo. Tutorial de integração Orfeo/QGIS na linha de produção!